إن فندق Talisman Apartments بموقعه الممتاز في برود بيتش هو نقطة انطلاق جيدة لنزهاتك في جولد كوست. يمكن من هنا للضيوف الاستمتاع بسهولة الوصول إلى كل ما تقدمه هذه المدينة النابضة بالحياة. بالنسبة لمن يريد الخروج، هذه بعض المعالم السياحية المتوفرة للزوار Broadbeach/Kurrawa Beach, Kurrawa Beach, Gold Coast Surf Academy. يعمل Talisman Apartments على ضمان إقامة مريحة لضيوفه من خلال خدماته الممتازة وحسن ضيافته. يقدم الفندق واي فاي في المناطق العامة, صف السيارات, غرفة عائلية, جولات, خدمة غسيل الملابس لضمان الراحة القصوى لضيوفه. ادخل إلى واحدة من الغرف 49 وتخلص من عناء نهار طويل بمساعدة مجموعة كبيرة من الخدمات كمثل تلفزيون بشاشة مسطحة, حوض الاسترخاء, غرف لغير المدخنين, مكيف هواء, تدفئة الموجودة في بعض الغرف. صممت خدمات الاستجمام في الفندق والتي تتضمن حوض استحمام ساخن, ساونا, حمام سباحة خارجي, سبا, ملعب تنس لمساعدتك على الاسترخاء والراحة. إن Talisman Apartments هو خيار ذكي بالنسبة للمسافرين إلى جولد كوست، بما يوفره من إقامة هادئة ومرحة. 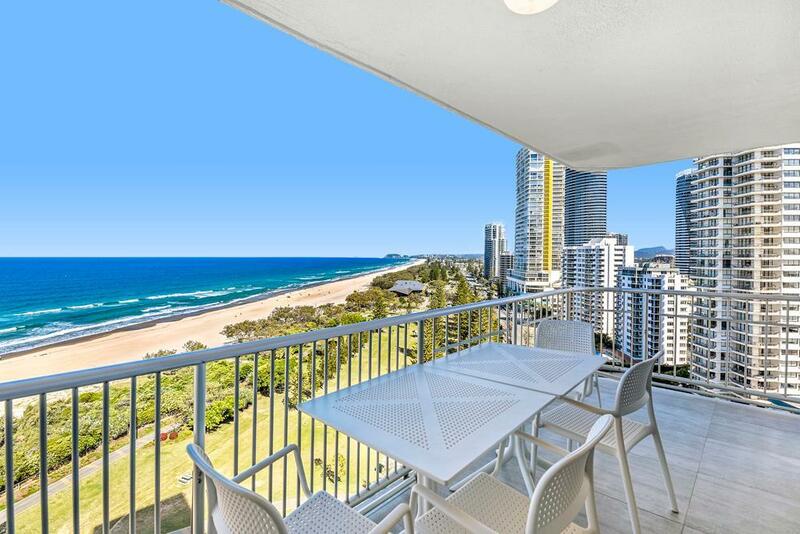 Good choice, very clean and fantastic ocean view at level 7. Appreciate reception staff, very nice and friendly. 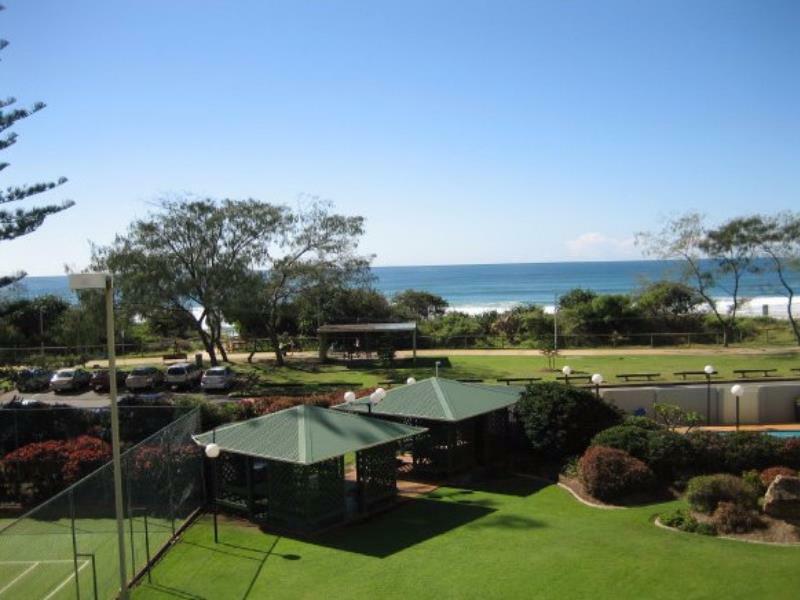 Fantastic location just across the road from the beach. The apartment layout is perfect for a family. The hosts were fantastic and so helpful and friendly. We will definitely be back! Everything you need, location location . Apartment was a bit dated but don’t let that deture you . Very clean , spacious unit and very friendly staff . The location is perfect . Value for money . Super clean and well maintained- the appartment had everything we needed . 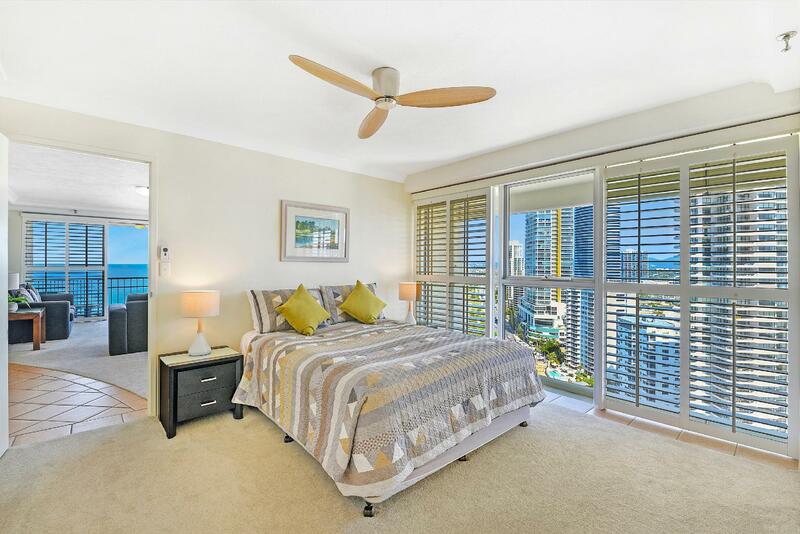 Walking distance to good food, entertainment and beaches. Our appartment only had aircon in the living room so could be warm in Summer but no issue during our visit. Would definitely visit again! We had a weekend at these apartments - 4 x 2brm apartments were booked by our group. The position was fantastic, right on the beach. Units were big and kitchen had everything in it. Some of the units were not as nice as the one we all converged on each day. They were a little dated and single beds were a little hard but on average it was fantastic. Room tip is unit 45. We came here at the last minute after our holiday to Tonga was cancelled due to the cyclone. The apartments are not new by any means but very clean and comfortable, well-equipped and have fabulous sea views. The staff are friendly and helpful and the pool/spa pool was great. The best thing is the location. 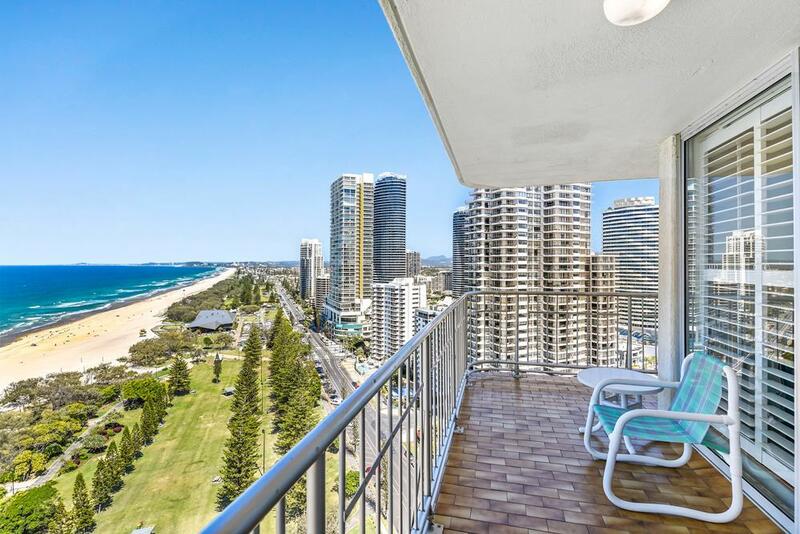 Walk straight across the road to the beach and a short walk to bars, restaurants, shops and public transport. Would go back again with the kids. Water leaking into one of the bedroom carpet. When we informed the manager upon departure, he was quite rude and offered no apology. Great location but the apartment we were given is terribly old. This place was great in every way even with the cleaning of the outside of building going on with absailers and water blaster. But In this modern world 500mb of sketchy data for the wifi just doesn’t cut it. 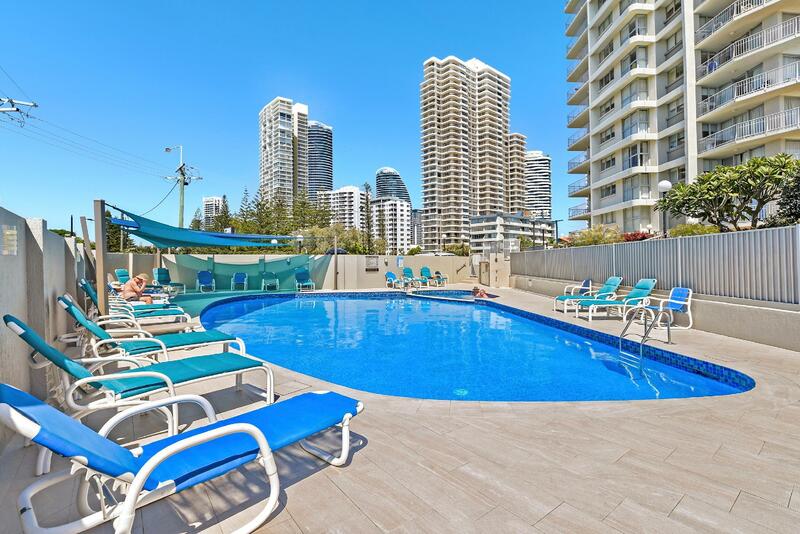 Great spot on the gold coast and the building stands out by itself providing great views all alround.just in a reslly great area. The apartment needs an update, but it was spacious, clean, and had everything we needed for a comfortable stay. The views were stunning, with the beach just opposite the building. Conveniently located around 500m from Oasis Shopping Centre. Talisman was about a third of the price of higher rated hotels in the area, but the room I stayed in was definitely of the same standard! The room was spacious, clean, bright and had an amazing view. However, I was told my room was fully renovated and not all rooms are so... The location is wonderful, right on the beach and close enough to walk to restaurants and the shops. The only disappointing thing was the internet. Not only was it limited to 500mb a day, mine constantly dropped out and wouldn't let me log back in. But, it was a minor blip on an otherwise enjoyable trip! No cons that I could see. Just a wonderful place to stay. Very clean , beautiful views , friendly staff , walk to everything. The tram is also very close to take you to Surfers although everything you need is here. We had a fabulous break.